Larynn Ford: LarynnFord.com - Larynn Ford's official Website where "Forever's Not Just a Dream"
LarynnFord.com - Larynn Ford's official Website where "Forever's Not Just a Dream"
Romance author Larynn Ford's latest book, A Place To Belong, is now available [Kindle]. Larynn is intrigued by the paranormal. She’s a day dreamer and a romantic. She loves to let her mind wander, always searching for a happily ever after ending to her dreams. Residing in East Central Alabama, Larynn uses her real experiences to create real characters in her books. She worked as a cook and cashier, became a wife and mother, earned a degree in Elementary Education, taught school, and worked in the finance industry. While fulfilling, she still dreamed. Now, she's living the dream. A Place to Belong is Larynn's latest book and is available for pre-order now. It will be released March 6, 2019. 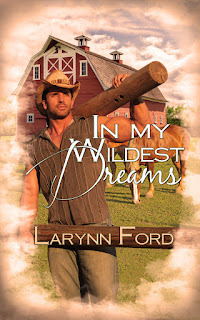 Larynn's first novel, 2013's In My Wildest Dreams, was also the first of a trilogy involving the supernatural adventures of Lynzi Lancaster and Layne Brady. Dreams Do Come True (2014) continued their story, with shocking actions and consequences from the conflict between the two worlds they share. The third novel of the trilogy, Living the Dream, is now available. It is an exciting and satisfying conclusion for these lovers as they travel life's journey. 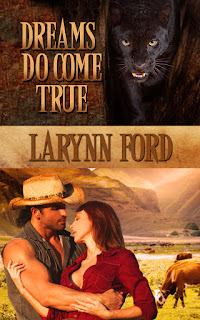 Between the first two books of the Lynzi and Layne trilogy, Larynn had an unrelated tale to tell. A variety of events and stories in the news triggered the idea for 2014's Rescued. It is a standalone paranormal romance suspense novel, and features two private investigators that realize they have much more in common than they could have imagined. 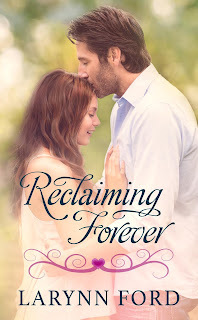 From 2017, Reclaiming Forever is a stand-alone novella. It's Larynn's first venture into contemporary romance and follows the story of Lara Simons' efforts to put her life back together after her world was shattered by a heartbreaking betrayal. Larynn also penned a short story, Christmas Blessings, that appears in Soul Mate Publishing's 2013 Christmas anthology, All I Want For Christmas Is A Soulmate. Nearly two dozen authors contributed stories to this anthology of different romance sub-genres. Larynn's wildest dreams have indeed come true. Thanks to all her fans and readers for sharing that dream with her.